Beware…This one’s got quite a KICK!! Soak 1/2 cup chickpeas overnight. Next day pressure cook with salt until soft. Charr & blacken jalapeños and garlic over open flame/grill. Wrap in foil and keep aside for 5 minutes. Open and rub with foil to peel garlic & peppers. Process this with the fork tender chickpeas. Mix in a couple of tbsp of tahini and a squeeze of lime. Adjust salt to taste. Pour out onto serving dish, make grooves with a fork, top with some extra virgin olive oil. 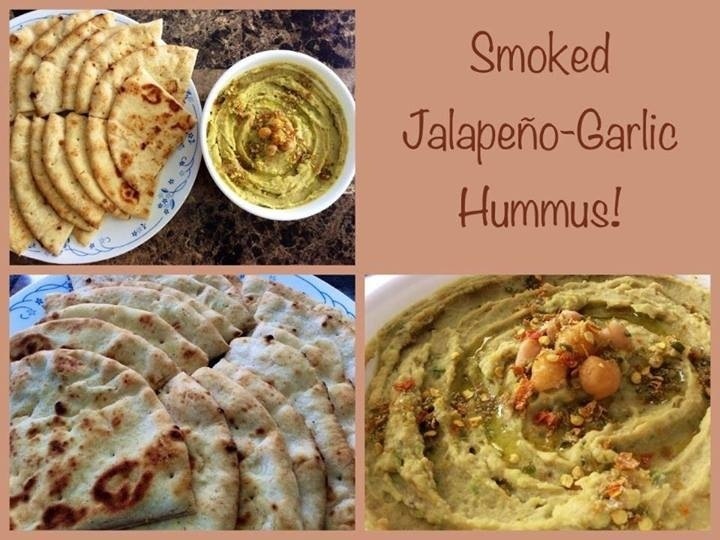 Serve with warm pita!